After a long time think of what i wanted to do with the zed tossing between supercharging and turbo's i've finally taken the plunge!!! WOOOOHOOOO!!!!! I have been looking at kits made in the USA for LHD cars but i came across this deal and could not say no. Its the full (old grarrett turbo's not the new crap chinese copy's) APS TT kit. 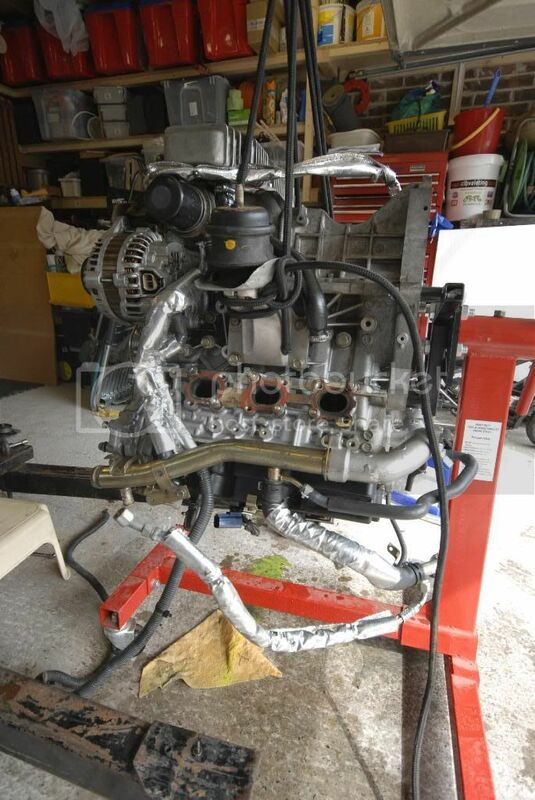 It come with the full APS fuel system and hydra nemisis ECU thrown in. 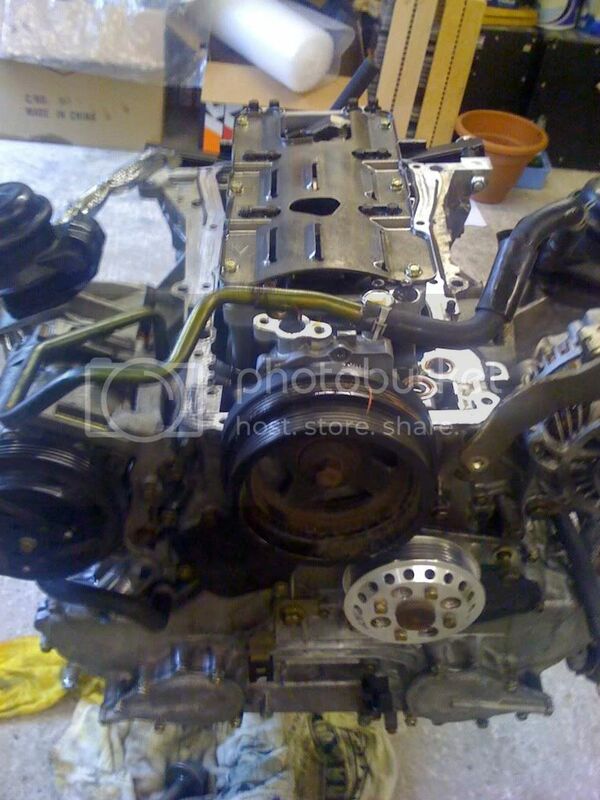 The kit was still fitted to a VQ35DE with 34k miles on it when i picked it up. 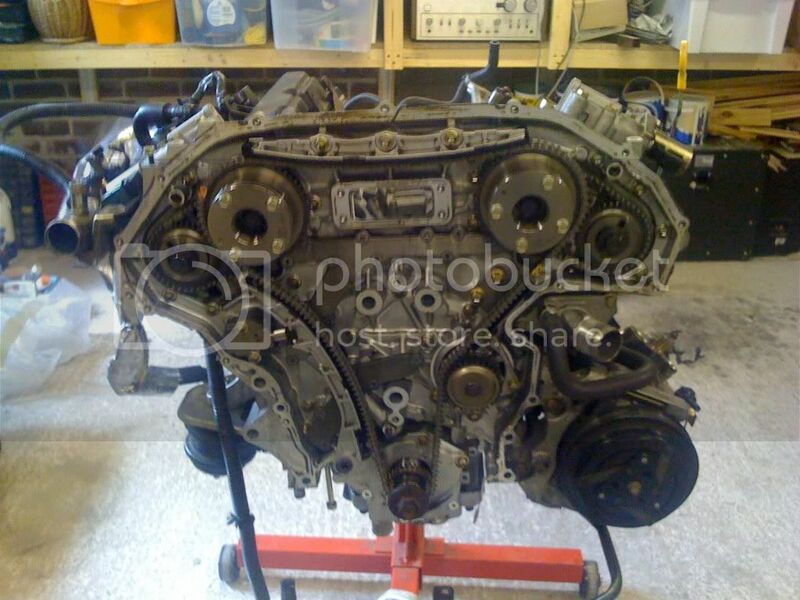 So i now have a second block to play with if after ive stripped it down it checks out ok. 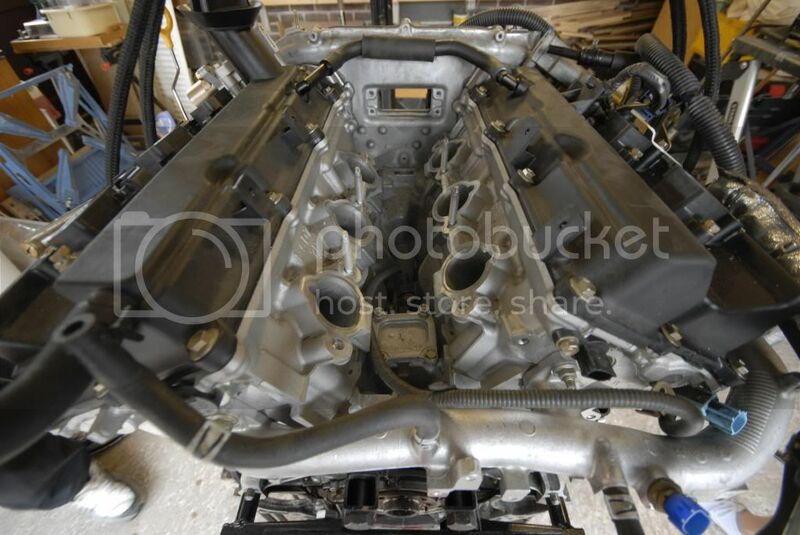 The engine looks to have a blown head gasket or broken ring land on cylinder 6. the compression test was great across 1-5 but cylinder 6 was down on pressure. Its been a fun few days last week because i managed to drag a mate down to essex with me in a merc 208d van! 80 mph top speed and no radio!!! 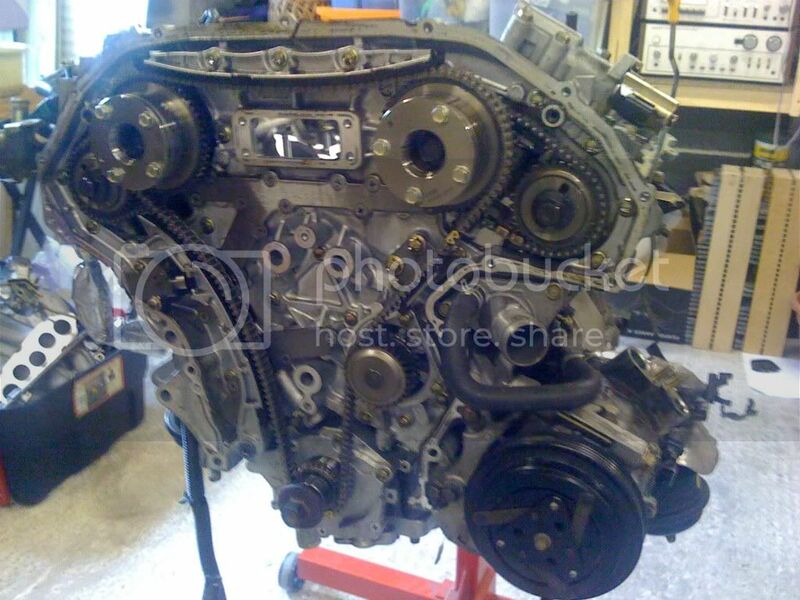 476 miles round trip and over 8 hours driving and i had my engine back in the garage!! 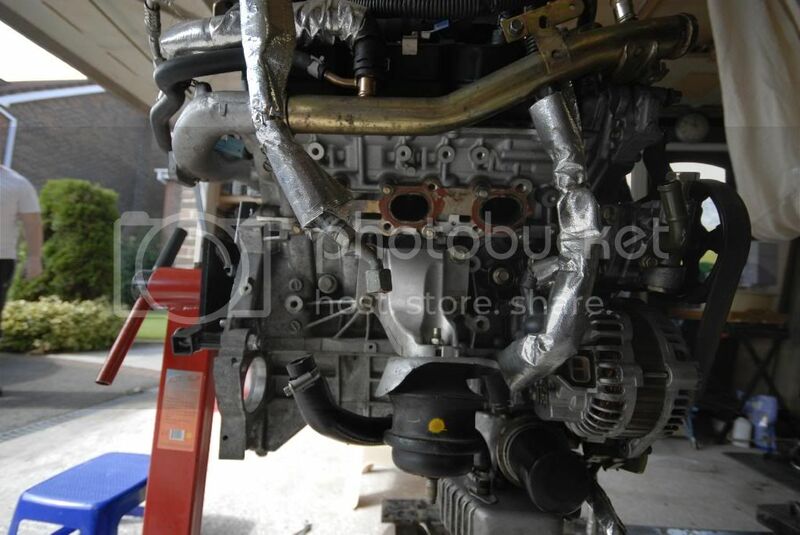 So far the Plenum (upper and lower) has been removed, fuel rails and injectors, sump, driver and passenger turbo's, manifold's, oil and coolant lines, oil pump, front belts, both belt tensioner's, and the passenger side cam cover, coil packs and spark plugs. Im having a little trouble getting the crank pulley off because the engine wants to turn ?? I think im gonna need an impact gun! 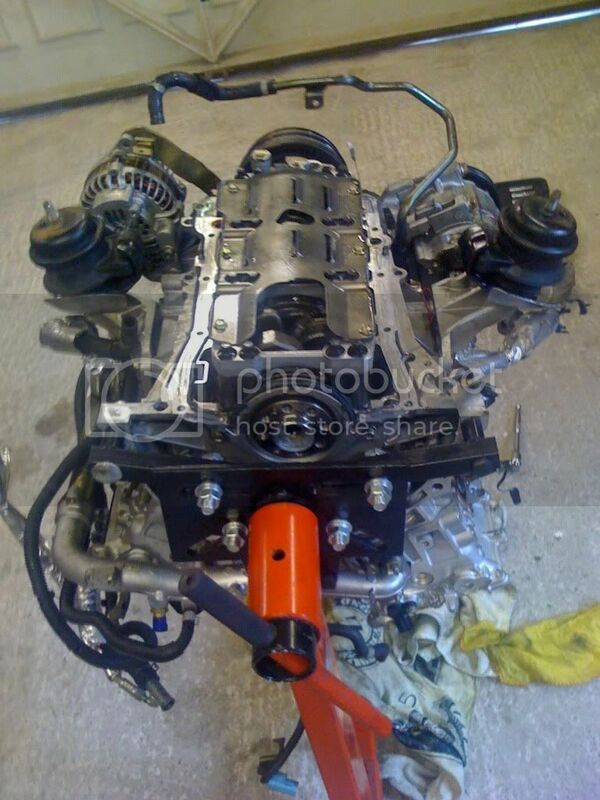 lol..
Hi nice project are you going to do the engine internals get big power out of the aps kit maybe 500bhp? Look forward to your progress! "Never ever bloody anything ever! I've lived my life by that rule"
Massive respect from myself !! Anyone who is willing to spend the time and money on FI for their Zed gets a thumbs up from me !! If i went down that route the girlfriend would kill me ! LOL.. my girlfriend did kill me but she's coming round to the idea now!! LOL..
Im not so sure as what to do now? I was going to remove the APS kit of the damaged engine and then clean it up and refit it to my original engine. 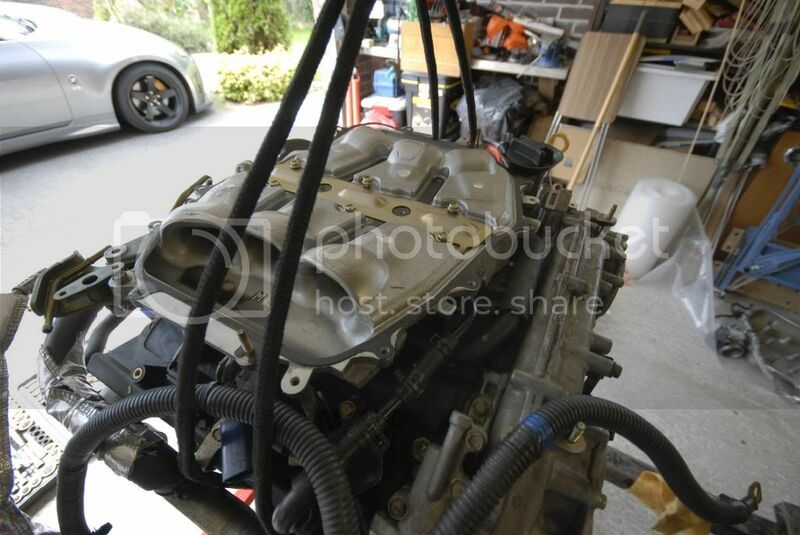 Then may be build the damaged engine up with new aftermarket rods,pistons ect.. and if/when my stock block failed then swap over the engines. 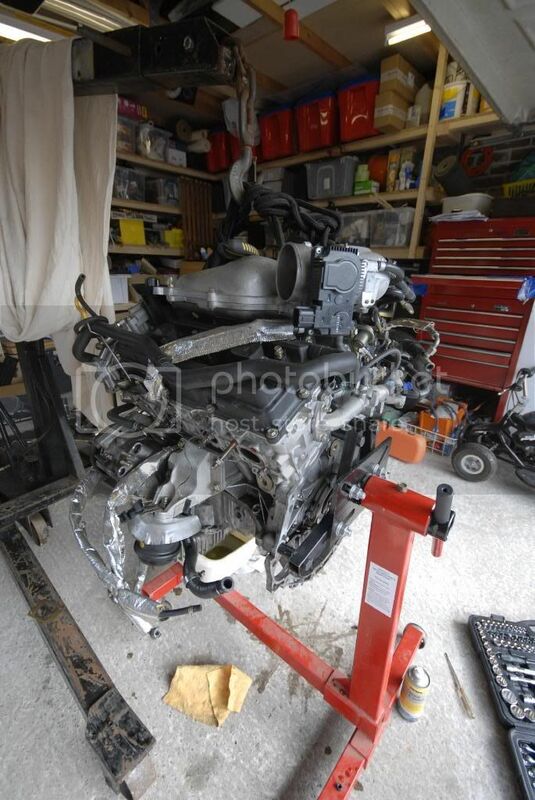 I may just build the full engine on the stand and then swap over the whole motor and go for big power straight away???? Yeah mate 400bhp should knock a few seconds off!! Just a few more pic's (sorry about the quality just off my iphone) of whats happened today. I managed to get the crank pulley off (huge braker bar and lots of grunting!! haha..) this allowed me to take the front timing cover off, ready to get the heads off next. 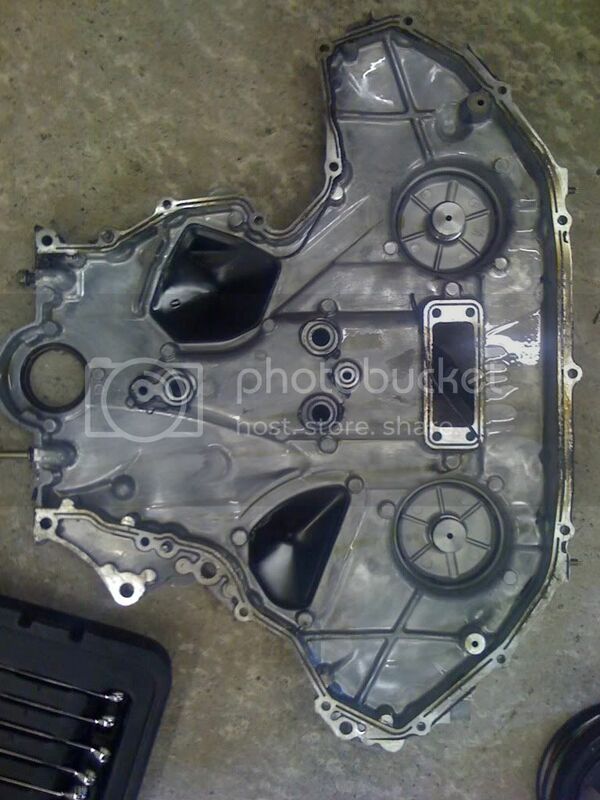 I also whipped the lower block oil pan off just for some more access to things. Not long till im spooling my self silly!!! Oh, just a little sunday afternoon job then Very brave Tim, look forward to seeing it go. Nice to see you having fun mate. Let us / me know how it goes, as you all know I'm running the APS kit on stander internals. This has now been on my car for some 30,000 miles. My last dyno was 380ish at the hubs, with no probs. Well I say no probs. Is this the one that was on ebay? If it is the ebay one, the broken ring on 6 goes some way to explaining the blue smoke! Well done for the plunge Tim. Wow, it looks like you've got yourself a great project there. A lot of work but a lot of fun I expect. And then you get to drive it! Nice one Tim, guess Jess got fed up with you going on about it soo much she just said "for gods sake just buy one!!" Looking forward to progress good luck mate. Yeah i was too busy to take pic's while taking the turbo's off so there now boxed up in bubble wrap. Ill take some photo's next week when i get them out to give them a propper clean. Yeah i hope its the ringland that is broken and not a crack in the cylinder wall on no.6. I spoke to Mark at Abbey motorsport today and he was saying it may have been caused by det. during tuning? 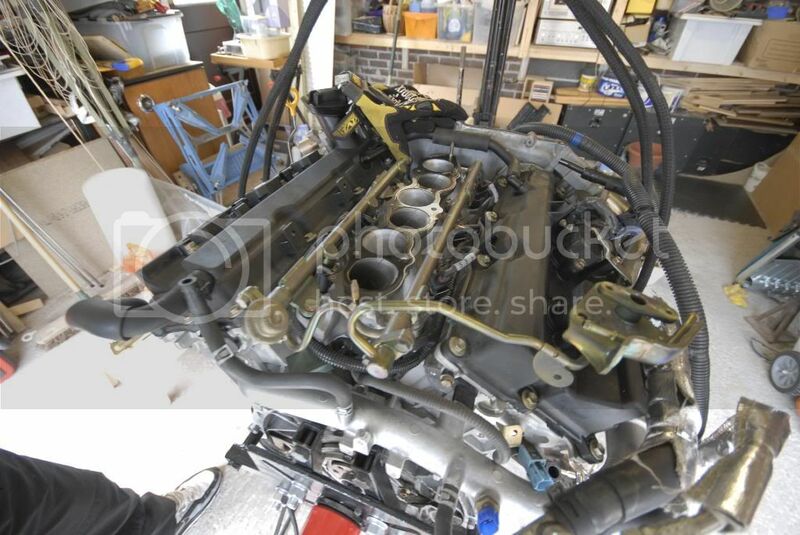 It's not a huge problem because the engine was ether going to be stripped and the block used for core exchange on a GTM stage 1 shourt block for the states or built in the UK. The fact that there was a small hole on the passenger side turbo drain would not help the smoking issue ether!! LOL..
Yeah so far i've loved just taking my time and slowly stripping the engine down. It makes things so much better when you can just stop when your tired and not have to finish the job because you need the car for work tomorrow!! And yes the driving part will be fun!! Looks like your having fun !!!!!! 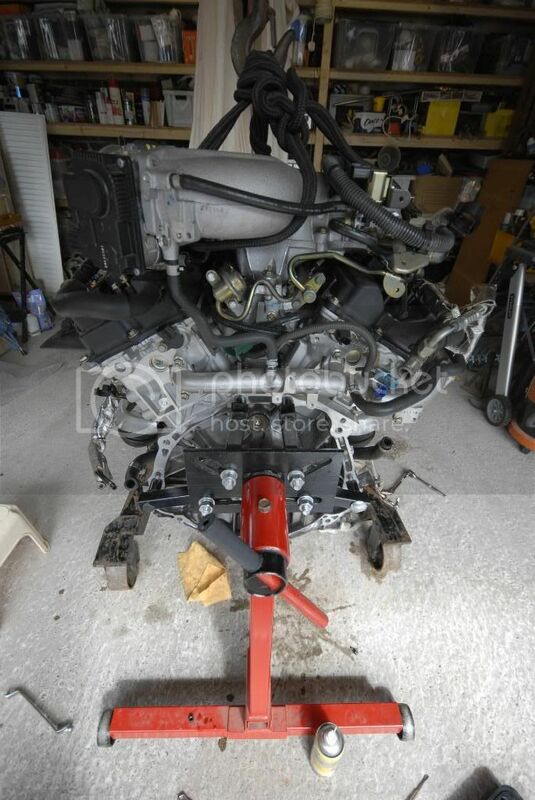 The car I bought initially had the kit on std internals but suprise suprise it went bang for the previous owner, I guess if you keep the map conservative you are in with a chance but as the kit gives so much potential why not just build the stronger engine & be done with. Take care when its mapped & trust an expert, I have issues, expensive issues with mine now & theres suspision it may have been caused by the original map, it was aparently fuelled heavily to be on the safe side but it appears the little rattle is a small end & a common cause of these failing is over fuelling. 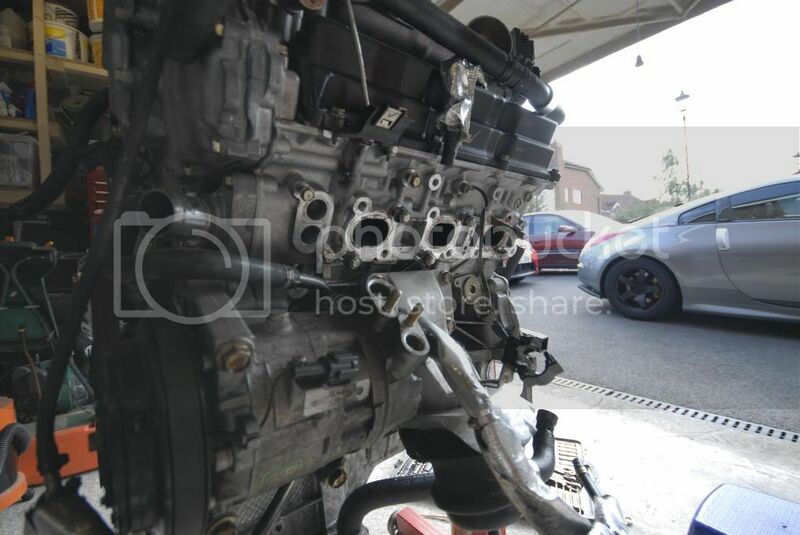 I guesss its the price you pay for buying a car tuned by the previous owner from a tuner you dont know although he only took the advice he was given. 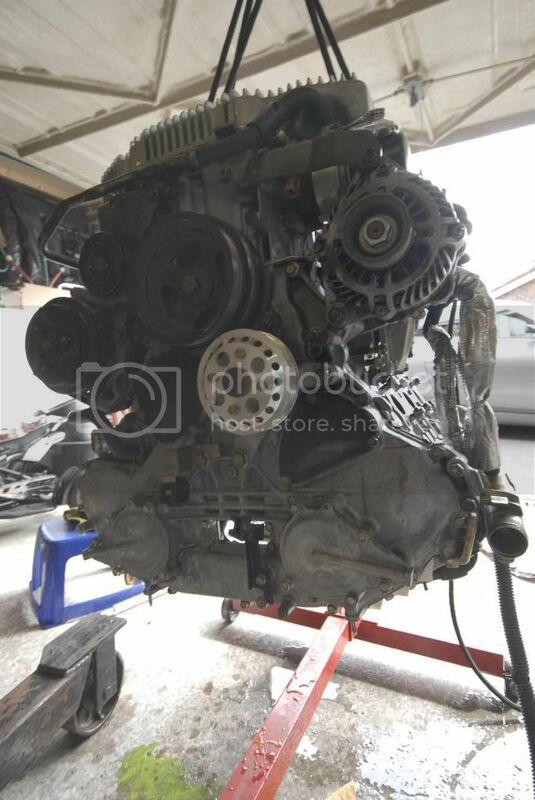 The engine comes out in a couple of weeks & I will be entrusting it to Tony at Abbey to sort & then get them to remap it. I think you will find it very rewarding when done, the cars an absolute joy to drive & not at all laggy, just pulls like a train, power delivery is smooth so rear end break away is progressive. looks like you making decent progress, do you think it will be finished this year? any eta? Thats bad news mate over fueling can cause problems just like running lean. Bore wash and having so much fuel you reduce the amount of oil on the moving parts can do a lot of damage. Hope you get things sorted mate. Post up your progress because im very interested. Are you going to convert to Osiris for your tuning?? Mark has told me the osiris run's alot better than the haltech did on his car and recomend's it with a HPX maf for my build?? The AC comp is still on there because it does not need to be removed to allow the front timing cover to be removed. I may pull it off during the rebuild but i will have AC on the car when its done. Im in no rush to get it done as of yet, so im not sure when ill finish mate. 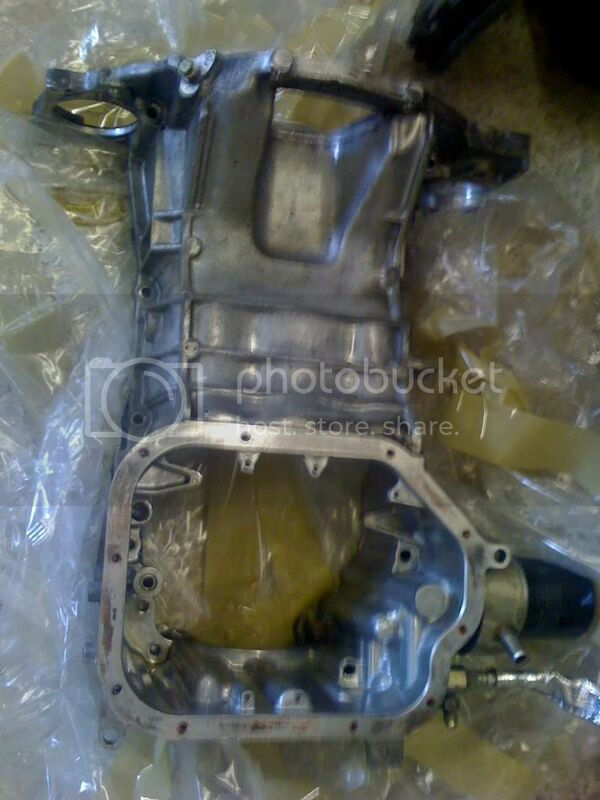 If i go for a stock block build first then that will be within the next few months before xmas. If i look in to a built block then that will take a little longer so i would think Jan/feb next year mate. How's your track beast getting on mate?? Any pic's for me to drool over yet? Edited by Stuart_J, 04 September 2009 - 03:31 PM. Piston slap with a forge engine is very common for the first few min's while they pistons expand but they should not knock when up to temp. I hope its just the little end mate or something nice and cheap for you. Edited by Stuart_J, 05 September 2009 - 09:27 AM.